During one of this weekend’s many X Factor ad breaks, a short clip featuring the hashtag #OnTheMoon sparked much excitement on Twitter as people began speculating that this could be the first glimpse of the 2015 John Lewis Christmas advert. The link has not yet been confirmed but we won’t have to wait long to find out whether it is John Lewis’s latest offering as their new Christmas ad will be aired in full for the first time at 8am this Friday (6th November). If the #OnTheMoon preview was orchestrated by John Lewis, this could turn out to be one of the most effective teaser campaigns of all time. Pop stars have been very successfully utilising the technique for some time now to build excitement around new single and album launches to maximise first week sales. 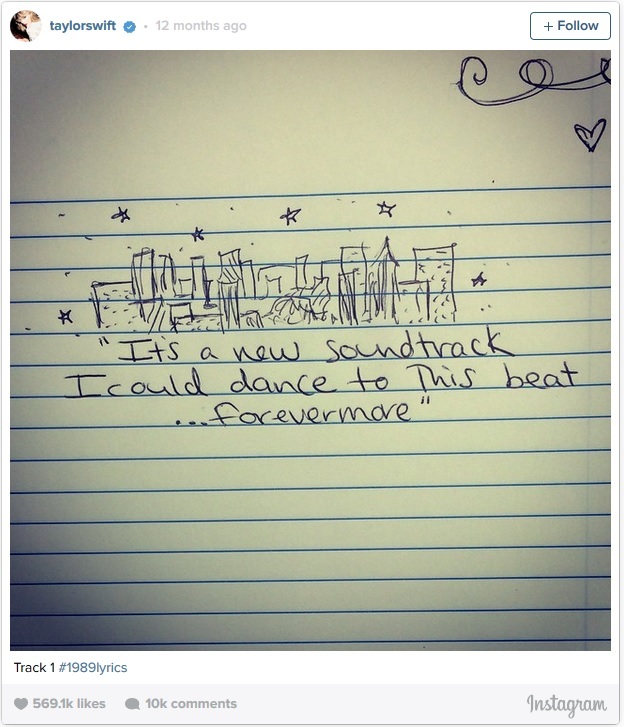 Taylor Swift used Instagram to tease her “1989” album last year in a highly visual way. The songstress revealed new lyrics each day in her own handwriting, offering fans a highly personal insight rather than an obviously label-led campaign. 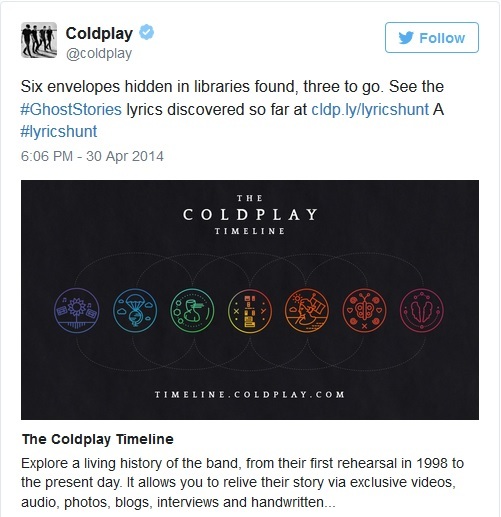 Back in May 2014, Coldplay brilliantly combined online and offline communications for a teaser of their “Ghost Stories” album. They hid lyrics from their new tracks in libraries across nine countries and used Twitter to lead fans to them. Have you seen any other teaser campaigns that you think can beat Taylor Swift and Coldplay? Let me know in the comments below.